RootsTech 2018 was great! Read along as I share my RootsTech 2018 review and learn why you should try to make it to RootsTech 2019. Hope to see you there next year, friends! 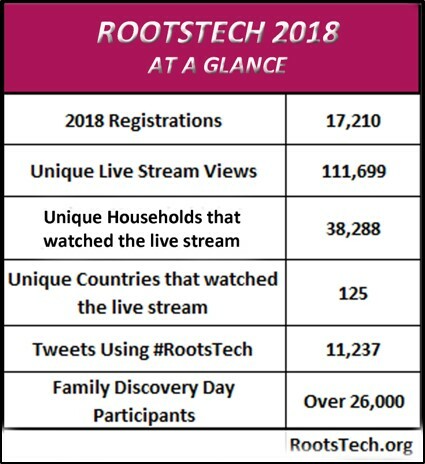 RootsTech celebrated their 8th year in 2018. There were some good changes and perhaps some not-so-good changes. A four-day conference, instead of three days, was something new this year, along with the introduction of the Innovation Showcase. I think both were a huge success. We had a little bit of a problem with long lines and not being able to get into all the classes we might have hoped, but this was due to a new procedure of scanning badges of the attendees as they came into a room. Many attendees shared their frustration with the RootsTech team and I am certain the problem will be resolved next year! 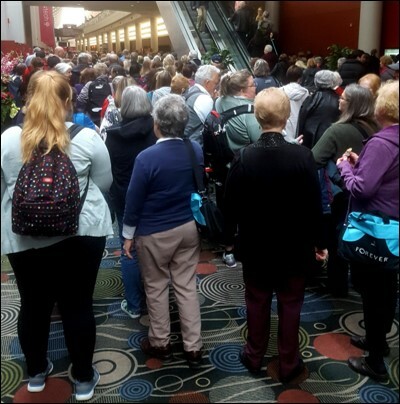 They don’t call RootsTech the “largest genealogy conference in the world” for nothing! Can you imagine what 17,000 attendees looks like in the hallway? Yep, it’s pretty crowded and does require some patience, but it is worth it to me. 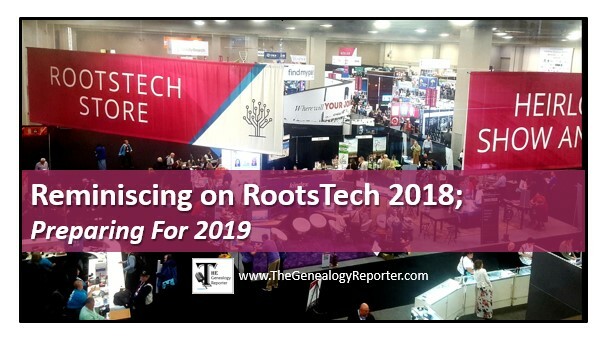 No where else can you be immersed in genealogy and family history like you can at RootsTech, but that is just my opinion. One of my favorite parts of RootsTech are the General Sessions. It is a time to sit and reflect on what is new and what is shaping our genealogy and family history of the future. These talks are particularly inspiring to me. I was continually reminded throughout the conference that “family” is bigger than just Mom, Dad, brothers, and sisters. The word “family” is inclusive of all people of the Earth. Henry Louis Gates, Jr. said “there’s no such thing as racial purity,” and he is right. We are all related. I also enjoyed Natalia Lafourcade. I just don’t make the time to listen to uplifting and beautiful music enough! Her voice was a delight and she had an infectious giggle, too! Wow, what a list of amazing lectures and topics this year. Though I didn’t get to attend nearly as many as I had hoped, classes included a variety of topics including DNA, methodology, record sets for the U.S. and other countries, technology, and specialized LDS classes for consultants. Class sessions were between 50 and 60 minutes and most had time for questions and answers at the end. Special event, Light Keepers, at RootsTech 2018. In fact, this year a specialized sub-event was set aside for LDS (Latter-day Saint is a nickname for members of The Church of Jesus Christ of Latter-day Saints) women. Though it was geared toward women of the LDS faith and between the ages of 18 and 40, there were women of all denominations and ages that attended. 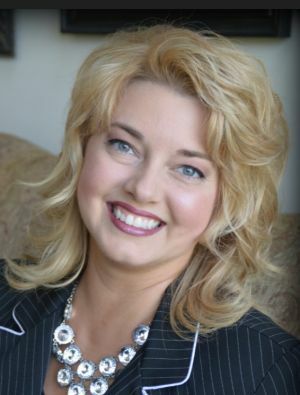 It was a beautiful event with a bit of a different ‘flavor’ than a typical genealogy conference. The focus was not only on searching out our ancestors, but writing and recording our own history. The Expo Hall was where I spent most of my time this year. If you can only go to visit the Expo Hall, I think it would be worth it. There is no way you could see and experience all there is to do there in just one day. The Expo Hall included over 200 exhibitors. Many of the companies were offering deep discounts, like Ancestry DNA kits for $59, Living DNA kits for $49.00, and RootsMagic for $20.00. Also, several companies were offering ‘power sessions’ from their booth. A ‘power session’ would be a short 15 to 30 minute class on a specific topic of genealogical interest. In this way, an attendee could peruse and shop and then stop for a quick class! 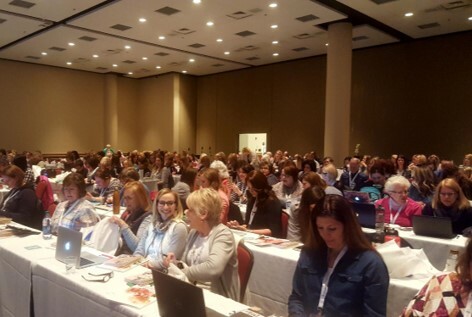 There were freebies, contests, picture opportunities with your favorite authors and genealogists, and too many other wonderful things to list. Really, if you have a chance to just go to the Expo Hall for a day or two, you won’t be disappointed. In conclusion, RootsTech is like a pilgrimage for me. It really is a worthwhile event. Take a look at the short video below and start now in preparing to be a part of RootsTech 2019!